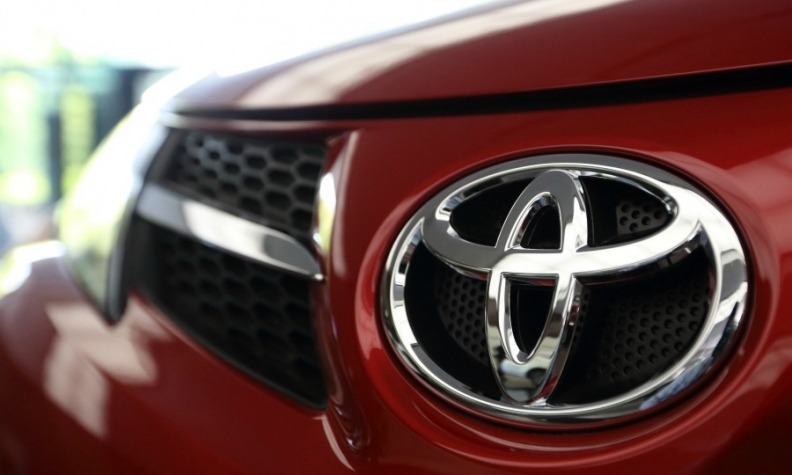 TOKYO -- Toyota Motor Corp. targets big weight savings and fuel economy gains with new technology coming in 2015, the company's top r&d executives said. Toyota should be able to slash overall vehicle weight by up to 20 percent with vehicles based on the so-called Toyota New Global Architecture, or TNGA, said Mitsuhisa Kato, executive vice president in charge of global r&d. He spoke Nov. 19 on the eve of the Tokyo auto show. Meanwhile, a new TNGA engine should achieve thermal efficiency rates greater than 40 percent, he said. That compares with the 38.5 percent thermal efficiency of the most efficient engines in Toyota's lineup, the powerplants used in the Prius and Crown hybrids. Higher thermal efficiency means that more energy from internal combustion is captured to power the wheels and less is lost through heat. A shift to rates above 40 percent could translate into fuel efficiency gains just under 10 percent through engine performance alone, Kato estimated. The upcoming TNGA hybrid engine will get efficiency rates around 42 percent, predicted Satoshi Ogiso, managing officer in charge of global product planning, drivetrain and chassis engineering. For gasoline engines not mated to an electrical hybrid system, Toyota's best have thermal efficiency rates around 36 or 37 percent, Ogiso said. That should improve to around 40 percent with the advent of TNGA, he said. The breakthrough will come through better combustion and reduced friction. The TNGA overhaul will be applied first to the small-car platform used for the Prius, Kato said. But he declined to say what nameplate would be the first TNGA vehicle. Kato and Seiichi Sudo, the executive vice president overseeing engine and drivetrain development, plan to drive Toyota's future growth by improving content and performance while reducing cost. Toyota aims to do that in part by sharing components and engineering in more vehicles. That should speed product development and free resources to focus on better products, Toyota says. Kato said Toyota aims to shift its entire lineup to TNGA technologies by the first half of 2020, adding that it would take years to cover everything from subcompacts to pickups. "We like to use the analogy to the battleship Yamato," Kato said, referring to the massive warship deployed by the Imperial Japanese Navy during World War II. "It takes a long time to turn and change direction."